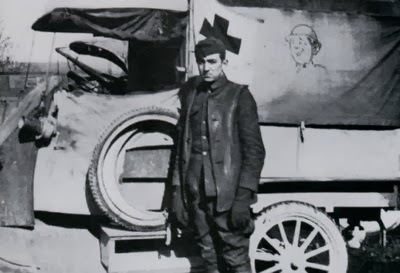 Walt Disney stands beside one of the ambulances he drove for the Red Cross in France. The "doughboy" caricature on the canvas side-flap of the vehicle was drawn by the budding young artist himself. This is part of my continuing series of pictures drawn from the life of Walt Disney.